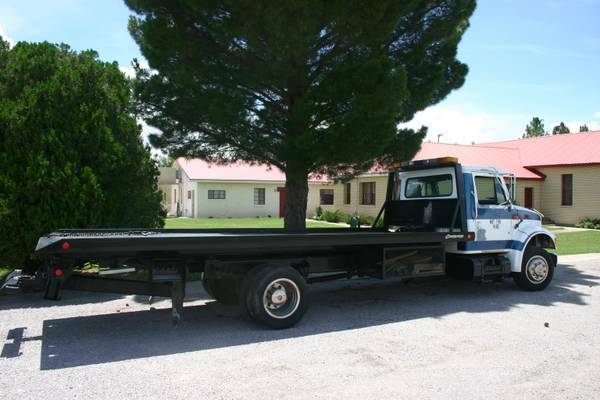 For Sale 1995 International 4700 Series roll back tow truck. 7.3 diesel, 5speed manual trans, 226000 miles. Champion 21 ft bed with wheel lift ( can haul two cars) runs good. great for starting business or to add to your fleet. $15000 OBO will trade for 07 or newer chevy 4dr diesel in good condition.